How do I link my Dropbox/Google Drive accounts to ProductionPro? Just download and sign in to those apps on your iPad. You may upload scripts, documents, and media from your Dropbox and Google Drive accounts. 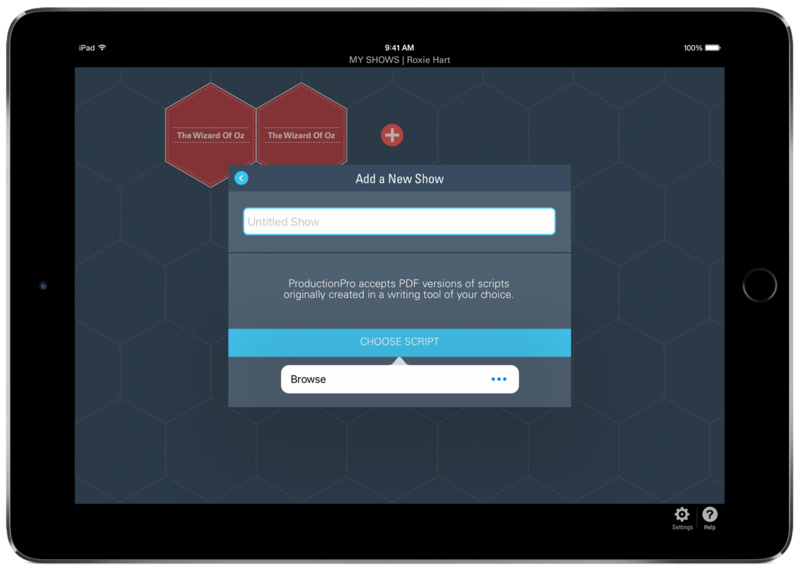 If you already have the these apps on your iPad, make sure you're signed in to each, then open ProductionPro. Then "Import An Existing Script"
Tap "Edit" in the "Browse" menu and make sure both Dropbox and Drive are switched on, then tap "Done". 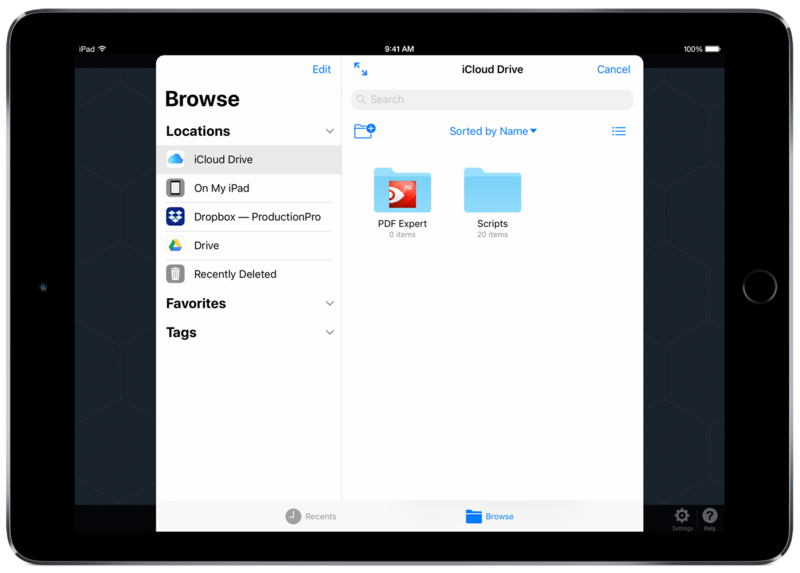 You can now access your files on Dropbox and Google Drive in ProductionPro! 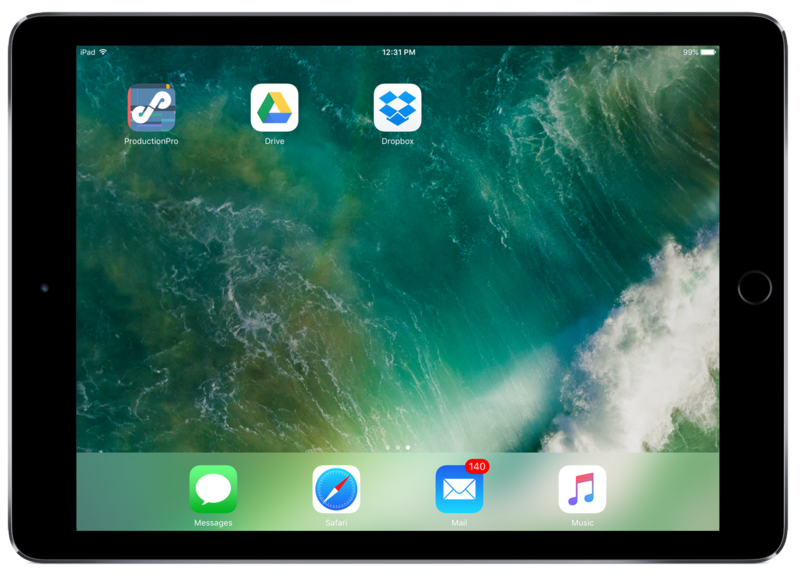 If you don't have these apps downloaded on your iPad, simply go to your iPad App Store, then search for and download the Dropbox and Google Drive apps. Once they've been downloaded, sign in to those accounts, then open ProductionPro. Follow the steps above to access your files on Dropbox and Google Drive in ProductionPro. I have a script. How do I create a Show?